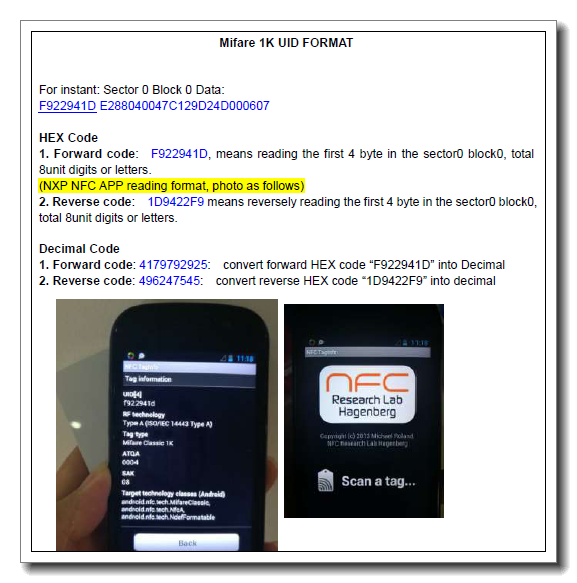 Click the button below to add the 13.56Mhz Android Reader Support MIFARE, NTAG213 (GYR65C) to your wish list. 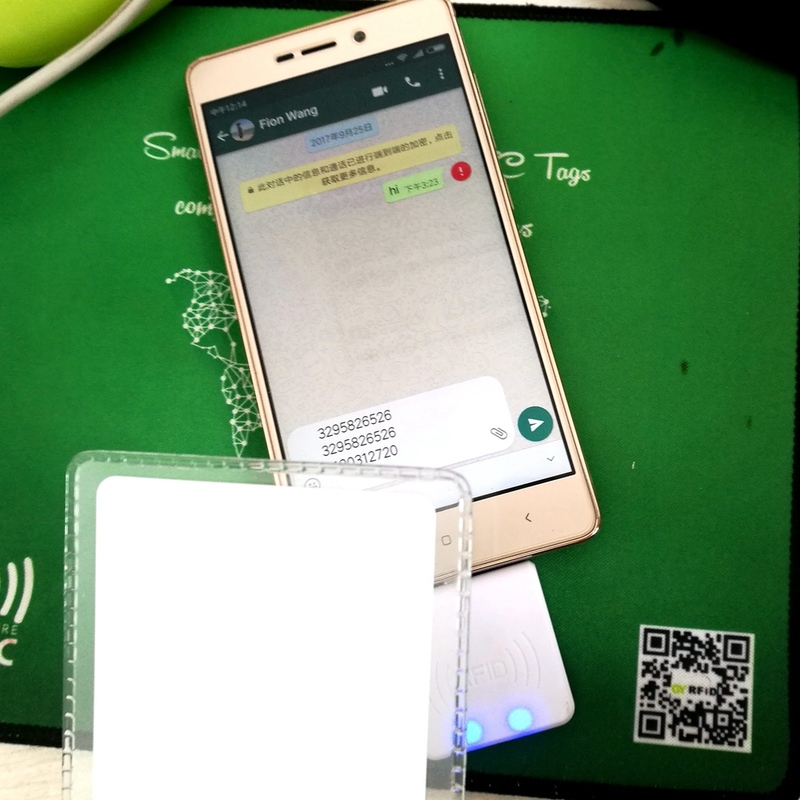 GY-R65 series RFID reader is supporting android system, which operating on smartphone like Sony, Sumsung. The reading range is up to 30mm in the front side and 10mm in the side. There are two LED, green one is for power indication; blue one is for status indication. Compact size is 35x35mm, can be easily carried. We provide box package for each reader. 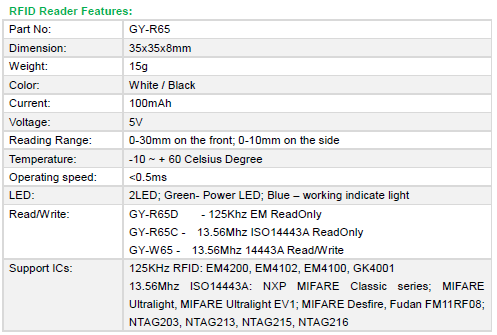 There are two models GY-R65D is for 125Khz EM card read; GY-R65C is for 13.56Mhz Mifare Card UID outputting.